Diamond Comic Distributors and Alliance Game Distributors have been awarded exclusive U.S. distribution rights for all Cryptozoic Entertainment products except its World of Warcraft CCG and its trading card products. The exclusive distribution rights include Cryptozoic board, card, and deck-building products. The exclusive distribution arrangement begins immediately; all future non-collectible Cryptozoic products will be distributed by Diamond-Alliance exclusively. Cryptozoic’s National Hobby Channel Manager Sara Erickson explained the rationale for the move. "Diamond will help us reduce product shortages, executive effective promotional programs, and provide exceptional support for every hobby store," she said. "We have outlined several new programs that are only possible with the outreach and coordination efforts offered by Diamond." The reduced product shortages will come from better sales data, according to the announcement, providing "a better ability to forecast and reduce these shortages." Product Swap Program, whereby retailers will be able to return any unsold copies of Cryptozoic non-collectible games during Q4 for other Cryptozoic products. This will include products tied to any of the Lord of the Rings-related products in the run-up to The Hobbit: The Desolation of Smaug, this year’s December Hobbit release. Game Premiere Program, which will provide retailers with kits including one case of the new game, a reduced cost demo copy, a poster, promo cards for each purchased game (when available) and an instruction sheet. The kit will arrive one week before street date and allow consumers to demo and purchase the game before street date. 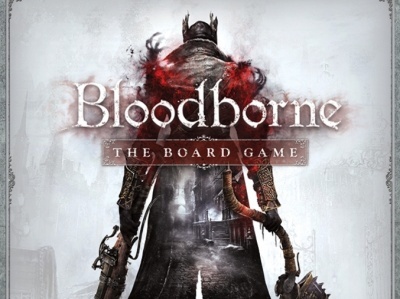 Two games for which this program is planned are The Hobbit: An Unexpected Journey Board Game and Night Eternal, a True Blood Card Game. Cryptozoic will continue to distribute to Canadian retailers through Grosnor Distribution, Universal Distribution, and Lion Rampant Imports. 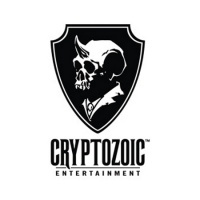 Cryptozoic titles will also continue to be distributed in other international markets via its existing distribution network. Last year marked significant movement to Diamond-Alliance exclusivity in the board game category as Mayfair, makers of #1 hobby board game Settlers of Catan, went exclusive with Diamond-Alliance last July (see "Top Ten Hobby Games Business Events of 2012"), Z-Man last March (see "Z-Man Goes Exclusive with Alliance"), and Carcassonne moved from Rio Grande to exclusively distributed Z-Man last June (see "Alliance Will Be Exclusive Distributor of 'Carcassonne'"). The biggest move to any other distributor was ACD Distribution getting exclusive rights to Queen Games last March (see "Queen Crowns ACD"). Although the effects of the movement to exclusive distribution have been profound in the board game category, they’ve been less so in the collectible game category (with only WizKids making the move, back in 2007), the Card and Dice Game category (with only WizKids’ Quarriors and daVinci's Bang! exclusive until now), the Non-collectible Miniature category (no exclusive lines) , and the RPG category (no exclusive lines).